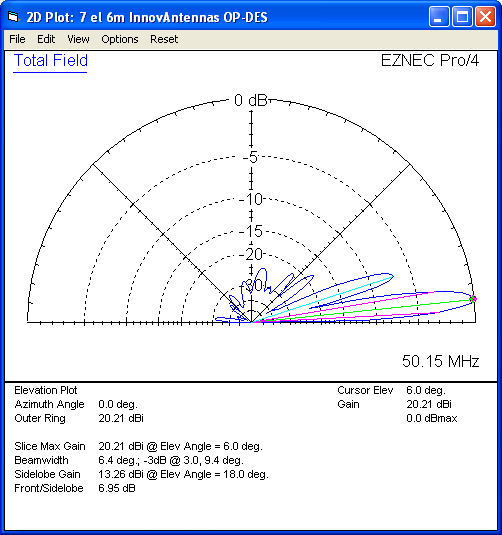 A 7 element wideband 49.9-50.5MHz OP-DES (Opposing Phase Driven Element System) Yagi - Second Generation OP-DES Yagi ! 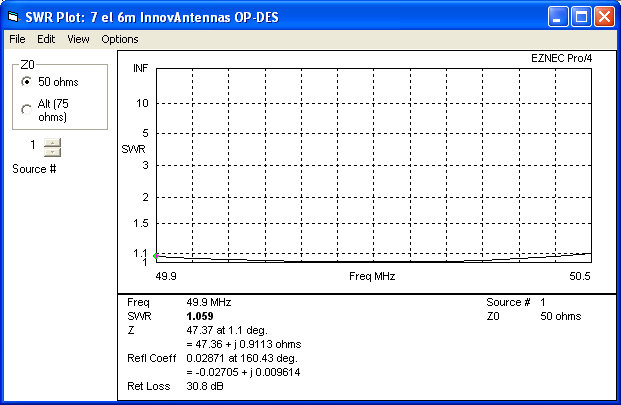 The OP-DES is the newest in patent technology produced by InnovAntennas and is specifically designed for maximum performance, wide-band applications. 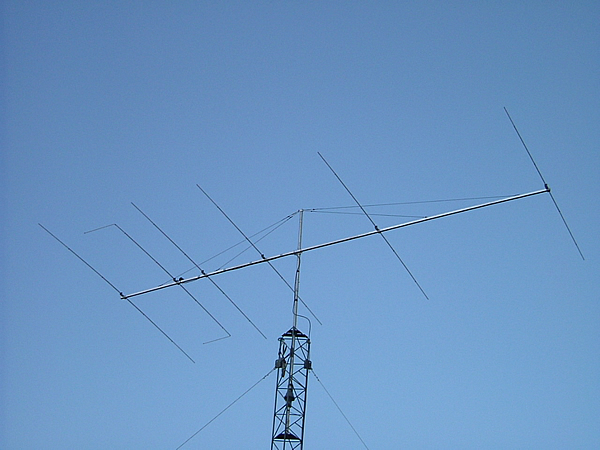 Read more about the OP-DES Yagi Here. 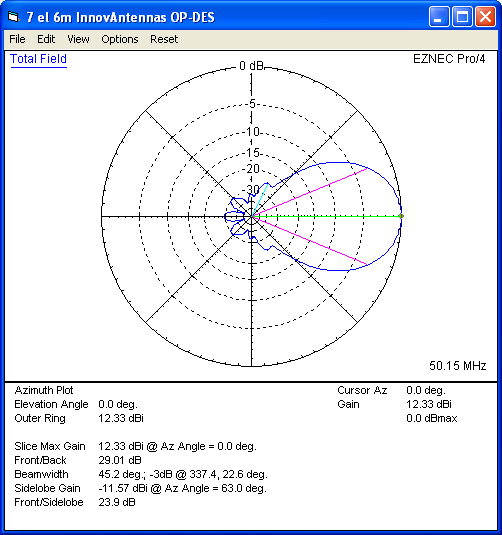 InnovAntennas use the latest in Electromagnetic Design Technology to ensure the very best results and the OP-DES Yagi is proof of that! This antenna has a flat SWR curve covering 49.9-50.50MHz at 1.1:1 SWR. The super-compact 7el has incredible rearward suppression and a huge punch too, Take a look! 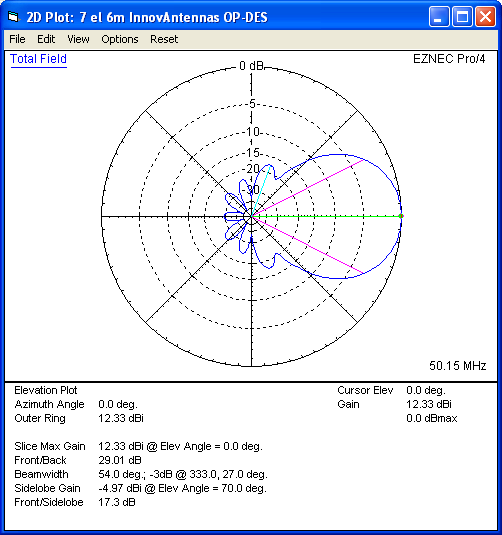 This antenna is made with 1/2 inch (12.7mm) centre elements and 3/8 inch (9.525mm) outer elements with the OP-DES end sections 3/8 inch (9.525mm). The antenna has fully insulated elements which will ensure continuous, high performance for many years to come. Boom to mast brackets are included with all antennas which will support 2 inch (50mm) masts. Boom is 1.5 inch (38.1mm) square 16SWG aluminum.